just buy this, it's available here. Added a new, and kinda big, pattern to my YouTube this week! 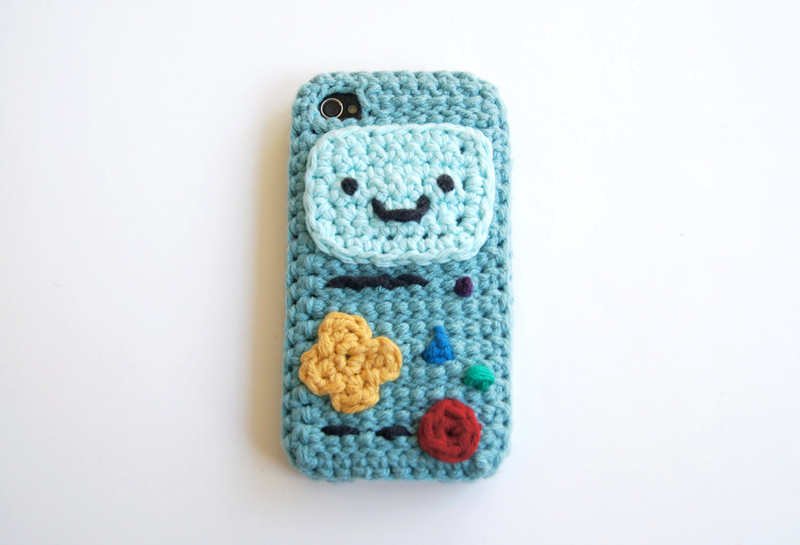 So a lot of people liked my iPhone case that looks like BMO from Adventure time so I figured why not add a free pattern to explain how to make an iPhone case made with my pattern (available here by the way) into a BMO iPhone case! I had to split the video into two, and on my YouTube it's also split into two weeks, so part two technically won't be available until next week, but I figure I'd let you guys have both video's now because I love my followers here so much!! Well without further ado, here are the two video's and the written patterns for the three different parts to go with them!! Rnd 6: sc in each st around the rectangle and twice in each corner, sl.st in first sc made in Rnd 5. Cut leaving a long tail to use to sew onto the case. Embroider on a face. Cut leaving a long enough tail to sew onto the case.